In this tutorial you are going to learn how to uninstall office 2013 which will be useful if you have installed the software and realize you want to revert to an earlier verison. First, click “Start” and then “Control Panel”. 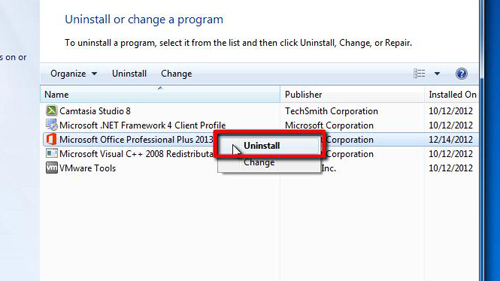 In the window that loads click the “Uninstall a program” option. 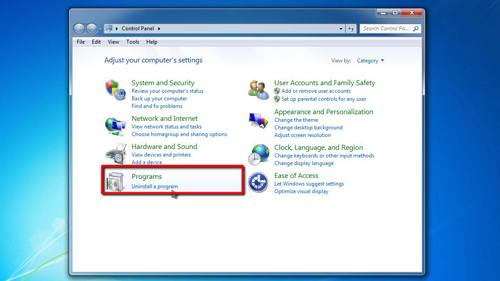 The computer will open a new window and build a list of programs that you have installed on your machine. In this list you need to select the version of Office 2013 that you have installed. In this case it is “Microsoft Office Professional Plus 2013”. Right click on this and in the menu that appears click “Uninstall”. The Office uninstaller will begin and in the dialog box that appears click “Yes”. The uninstall process will begin and this can take some time. Once the uninstall has completed, click on the “Close” button to finish the process. 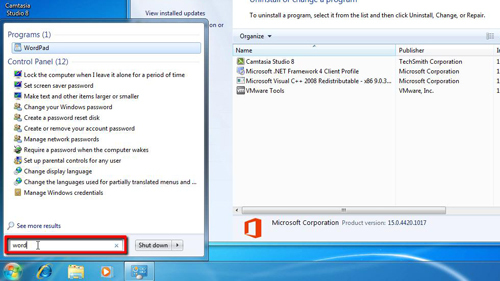 You will see that Office no longer appears in the list of installed programs. This is how to uninstall office 2013 and to confirm the removal try to search for any Office program in the start menu – as you can see here, it can’t find Word, indicating a successful uninstall.